Located in the heart of Fort Worth’s West 7th District, Hooky is the first and only country / dance venue in the market. Join in free dance lessons on Thursday nights (8-9pm) or join us on the dance floor Friday-Sunday 8pm-2am! Less talkin’, more dancin’, that's the motto. Join us on the dance floor and dance the night away. Take part in free dance lessons every Thursday night, from 8-9:30pm or grab your a partner and get-two-steppin' every Friday, Saturday & Sunday night 8pm-2am! Not only do we have a full bar, with your favorite assortment of beer & liquor, but we also play host to a state of the art shotwheel. Don't take our word for it, come have a spin for yourself. It's always a good time at Hooky. Dust off your boots, grab your friends and come and meet some new ones. The mood is light and the beats are just right. 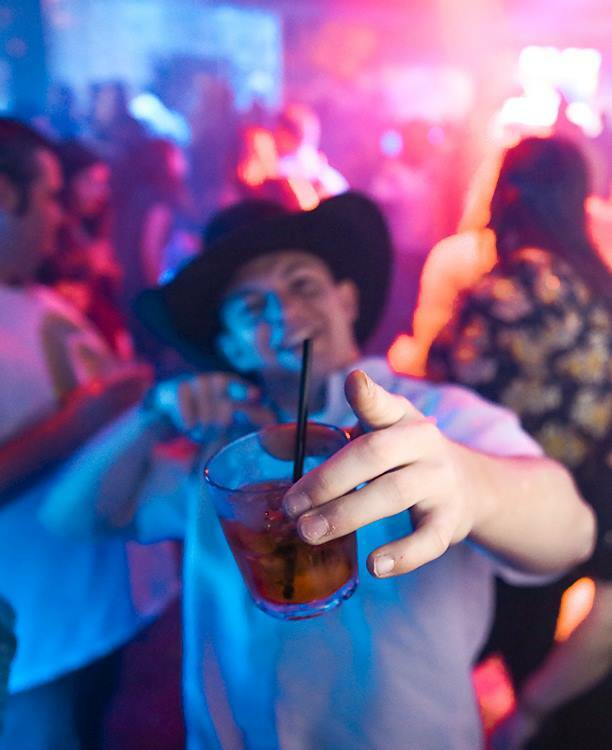 An array of country and old school hip-hop will have you dancing the night away!